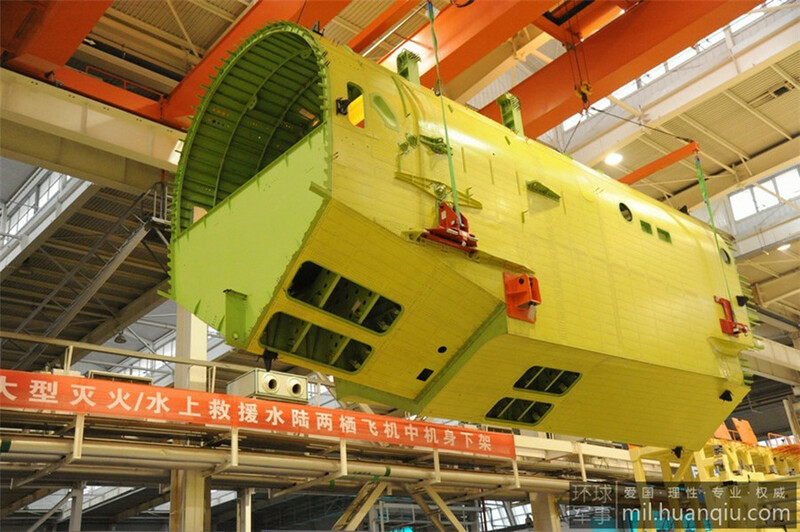 The mid fuselage of the China's home-grown AG600 aircraft has rolled off AVIC Xian Aircraft Industry's production line on December 29, 2014, according to Huanqiu.com. The AG600, once completed, is set to become the largest amphibious aircraft in the world. The AG 600 is primarily used for firefighting over vast areas and over-water Search and Rescue (SAR). According to AVIC, the aircraft's first flight will be at the end of 2015.